Carb Icing presents a unique danger for pilots who are transitioning from flying fixed-wing aircraft to helicopters. I heard a story about carburetor icing from one of my instructors early in my training, one of those stories that makes you wonder if there’s only 10% truth to it. To this day I still don’t know if it’s true, but it’s a story that has stuck with me. A student helicopter pilot was on a solo flight out near the Florida Everglades. His engine suddenly lost power and he made a successful autorotation landing in the marsh. He was able to radio for help, and his instructor flew another helicopter out to his location to pick him up. This instructor lost engine power also and he had to perform an autorotation into the marsh next to the first pilot. Finally, a third helicopter was dispatched to pick up both pilots, successfully. Investigators determined that carburetor icing was the culprit for both engine failures. Icing on a hot day in the Florida Everglades? Absolutely. 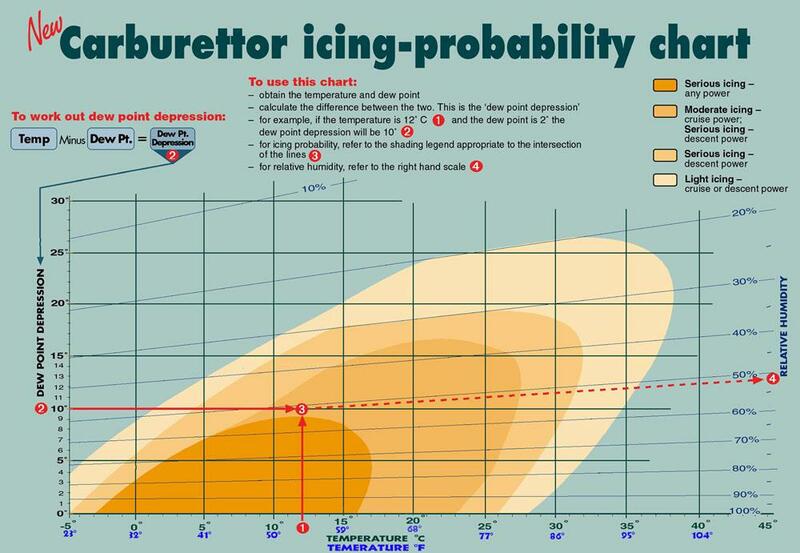 Before we get into the differences between helicopters and airplanes (I should specify, for carburetor ice) it’s important to have at least a general understanding of what carburetor icing is and how to deal with it. This article will also be directed primarily towards Robinson helicopters, by far the most popular training helicopter in the world. Naturally-aspirated engines, most commonly found in training aircraft, are highly susceptible to carburetor icing. There are two main causes for the formation of this ice. The first is a product of Gay-Lussac’s gas law, which states that pressure and temperature are directly proportional to each other. The air intake uses a Venturi, which drops the pressure inside the carburetor. As the pressure drops, so does the temperature. The second cause has a much larger effect on the temperature inside the carburetor and can actually drop the temperature as much as 80°F in certain conditions. This temperature drop is due to the vaporization of the fuel inside the carburetor. In order for the fuel to change from a liquid state to a gaseous state, heat must be taken from the air and added to the fuel, thus cooling the air. If enough moisture is in the air (generally above 50% humidity) ice will form. The ice will form on both the walls of the carburetor and on the throttle valve. 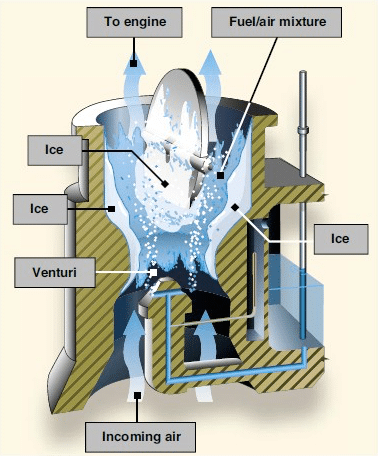 This can create a condition that feeds on itself; as ice builds on the valve, it creates more of a Venturi effect, dropping the temperature even more. Fortunately, we have a little knob in the cockpit labeled Carb Heat. A mechanical connection between this knob and the intake manifold diverts hot exhaust air into the carburetor, heating the air to a temperature that will prevent ice formation. Fixed-wing pilots are taught to use the Carb Heat knob as an on-off switch; you either apply full heat or no heat at all (with certain exceptions). This is due to a lack of carburetor temperature monitoring. Applying partial heat can actually be just enough to warm incoming ice crystals into water, but not enough heat to prevent that water from refreezing when it hits carburetor surfaces. So, apply full heat or none at all. When airplanes are using takeoff power, the throttle is typically wide-open. Because the throttle valve is not restricting any airflow, the Venturi effect is less and won’t be enough to lead to carburetor icing. The opposite is true on approach and landing. The engine is typically at low power settings, meaning the throttle valve is nearly closed. This restriction in airflow creates a significant pressure drop, which in turn drops the temperature. Carb Heat is set to “On” before the approach. These habits can cause trouble for airplane pilots transitioning to helicopters, and it can – and has – led to fatal accidents. Helicopters only use as much power as is needed for hover and takeoff. Additionally, Robinson helicopter engines are de-rated to increase engine life, so you’ll typically never get the throttle full-open. Because of this, there is always some additional cooling happening with the Venturi created by the throttle valve. With this new knowledge and old habits, our transitioning airplane pilot would pull the Carb Heat fully open. This too is not necessarily the correct thing to do. The hot air entering the intake makes the mixture richer, decreasing the power, and this decrease may actually prevent the pilot from obtaining takeoff power. What’s the pilot to do? Preheat the carburetor during run-up and use partial heat for takeoff. Helicopters are equipped with a Carburetor Air Temperature gauge, and the pilot can apply just as much heat as is necessary to keep the needle out of the yellow “danger” zone. And unlike airplanes, the closer a helicopter gets to touchdown during an approach, it uses more power, not less. But remember what we said earlier? Because the engine is de-rated, the throttle valve will never get to full-open. Our airplane pilot, not falling for this trick again, will anticipate this and use Carb Heat generously during approach to landing. He would be wrong again. Applying Carb Heat during approach to a hover, even partial heat, can prevent the pilot from obtaining hover power (due to the rich mixture) and this could result in an unintentional hard landing. It’s happened to me – I left the Carb Heat on during approach to a hover on a hot day at high altitude and didn’t have enough power to stop my descent. The prudent helicopter pilot applies full carburetor heat before initiating the approach descent to “heat soak” the carburetor, then a few hundred feet prior to touchdown will turn off the Carb Heat (or leave a small amount) as the power comes into the hover and the throttle keeps opening. You can think of helicopters as having a “constant speed” prop. The governor will maintain a constant RPM. This constant RPM, just like in airplanes, can mask the formation of carburetor icing as the governor keeps opening the throttle to counter the ice blockage. Airplanes have a slight advantage in this unpleasant scenario, as the airflow through the propeller will aid in keeping the engine turning, especially when Carb Heat is applied after significant ice build-up and water enters the engine as it clears. This is not true for helicopters, which have a freewheeling unit, comprised of a simple clutch, to disengage the rotors from the engine in the event of an engine failure. Just like your bicycle; when you pedal forward it engages the drive, and if you pedal backwards the pedals just spin. Failure to maintain proper rotor RPM is the leading cause of fatal accidents in these helicopters. 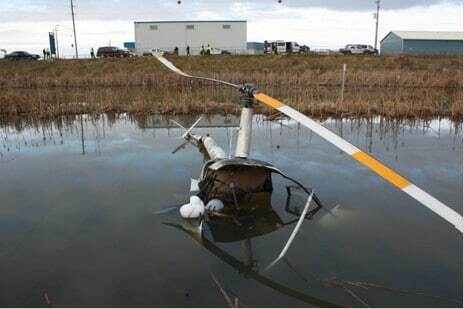 When the engine dies due to carburetor icing, the pilot has a mere second or two to decrease the pitch of the rotor blades before they will stall and the helicopter enters an unrecoverable dive. Even if the pilot recognizes a low RPM situation with the engine still operating, lowering the collective (decreasing the pitch) also closes the throttle valve, which can lead to an immediate choking of the engine due to ice. There are a variety of aspects of helicopter flight in which the airplane pilot’s old habits can lead to accidents. Only excellent systems knowledge, POH compliance, and proper training can prevent this. Online Aviation Courses: Helpful or a Waste?